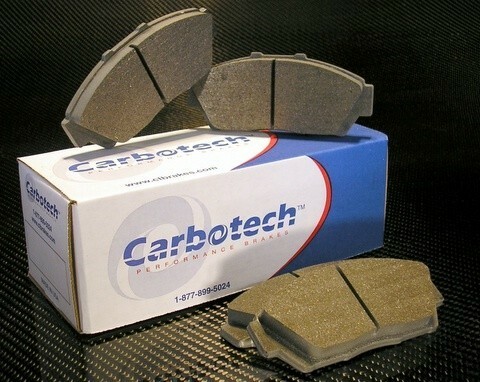 Carbotech RP2™ brake compound is engineered for endurance racing based the successful XP™ Series formulations. RP2™ is the longest lasting compound that Carbotech offers. RP2™ has strong initial bite, a little less modulation than our XP12™, but still maintains the rotor friendliness of the XP™ series compounds. With a good initial bite and one of the most consistent torque curves in the market the RP2™ compound is easy to keep a consistent bite and torque throughout the braking zone as well as provide excellent rotor friendliness. Carbotech™ RP2™ is NOT recommended for use as a daily driven street pad due to possible elevated levels of dust and noise.